K is a stackable chair whose flexible wooden legs recall those of a resting crane. 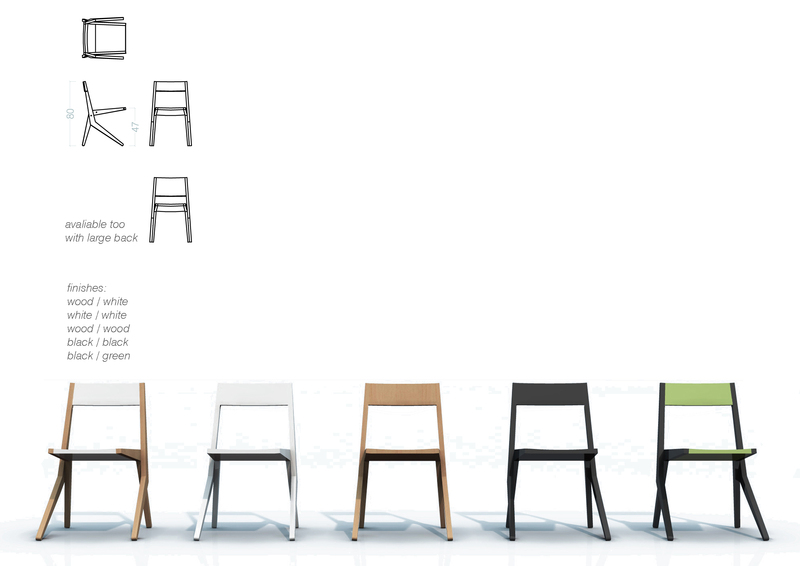 The front legs, which shape the chair’s “K” profile, jut out from the back and allow for absolute freedom of leg movement. The back of the chair is tilted 14 degrees and contributes to extending conversations after lunch or dinner. The seating surface, however, with a scarce 5-degree tilt, discourages an overly casual or relaxed dining position. K will be available in several finishes, raw or lacquered.